Obsession with Books: Waiting on Wednesday - The Edge of Forever by Melissa E. Hurst. Waiting on Wednesday - The Edge of Forever by Melissa E. Hurst. Hi everyone!! thank-you so much for stopping by today. Waiting On Wednesday is a weekly meme, hosted by Jill at Breaking the Spine which spotlights upcoming releases that we're eagerly anticipating. 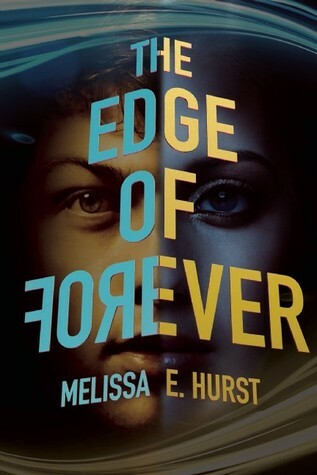 My WoW’s for this week are The Edge of Forever by Melissa E. Hurst. In 2013: Sixteen-year-old Alora is having blackouts. Each time she wakes up in a different place with no idea of how she got there. The one thing she is certain of? Someone is following her. In 2146: Seventeen-year-old Bridger is one of a small number of people born with the ability to travel to the past. While on a routine school time trip, he sees the last person he expected—his dead father. The strangest part is that, according to the Department of Temporal Affairs, his father was never assigned to be in that time. Bridger’s even more stunned when he learns that his by-the-book father was there to break the most important rule of time travel—to prevent someone’s murder. And that someone is named Alora. Determined to discover why his father wanted to help a “ghost,” Bridger illegally shifts to 2013 and, along with Alora, races to solve the mystery surrounding her past and her connection to his father before the DTA finds him. If he can stop Alora’s death without altering the timeline, maybe he can save his father too. OOoh nice! That sounds intriguing! Love the cover! Has an eeriness to it! This looks like an interesting book to read, I guess I should add it to my to-be-read list then. Great choice by the way. Wow, so tempting! Thanks for sharing, and I hope you love it. And I love the look of your blog! Oh this looks awesome -- definitely adding to my TBR! Great pick!! I never even heard of this before but it sounds AWESOME!